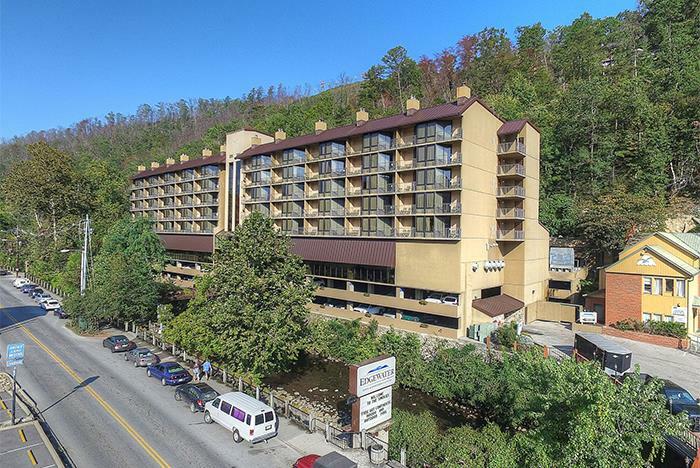 Edgewater Hotel is centrally located in Downtown Gatlinburg, just a short walk from Ripley’s Aquarium and with easy access to the Great Smoky Mountains National Park. 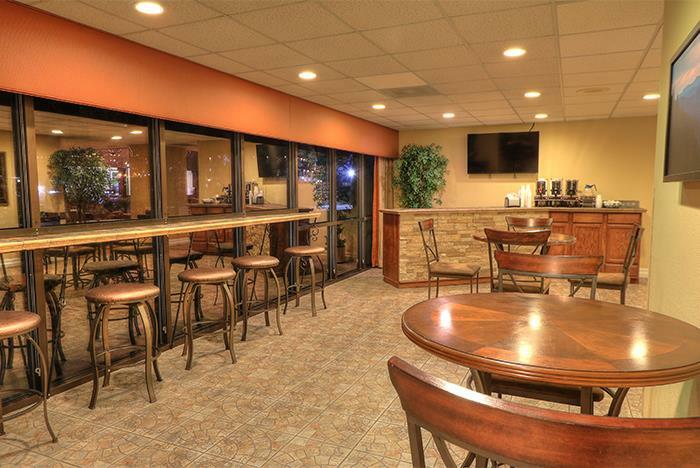 Budget-friendly rooms boast free Wi-Fi, private balconies, mini fridges, microwaves, a flat screen TV, and more. 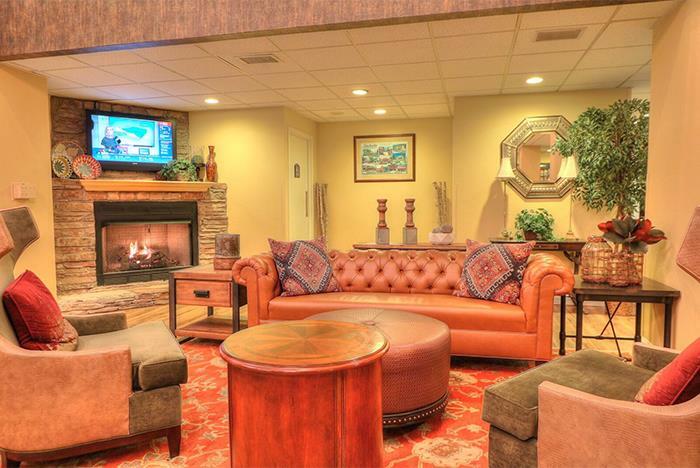 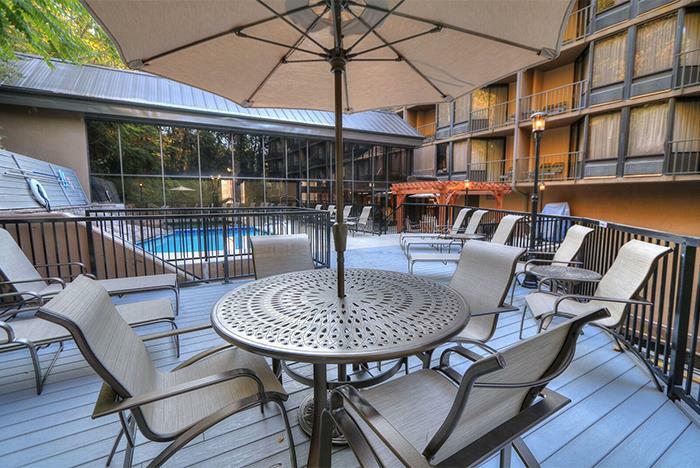 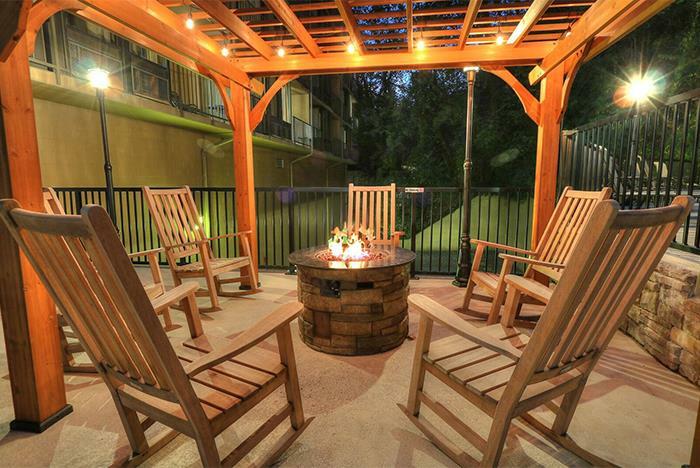 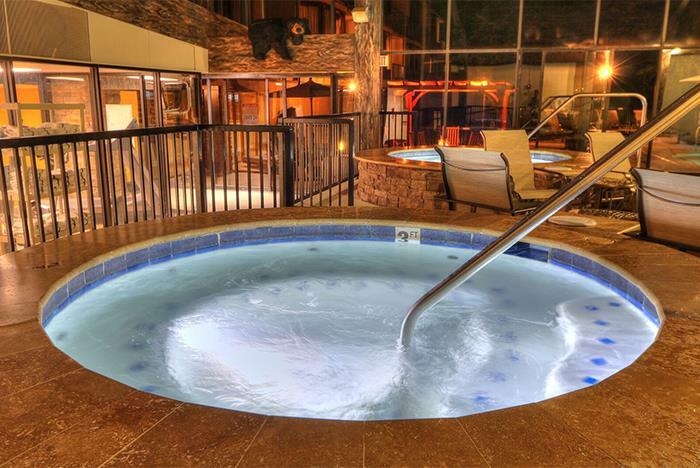 Amenities include heated indoor/outdoor pool and free continental breakfast. 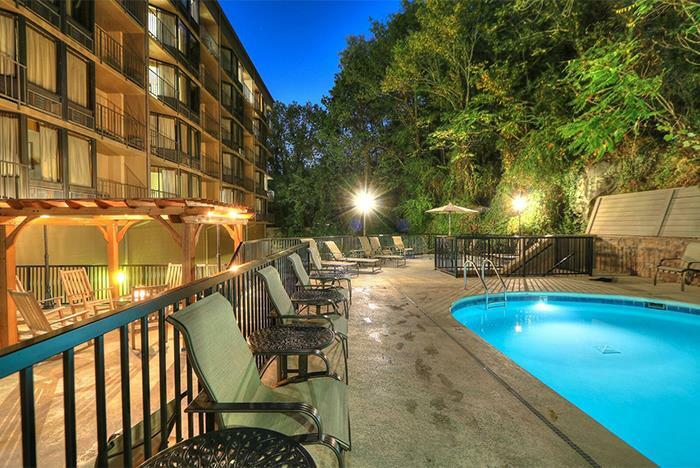 5 minute walk from Ripley's Aquarium of the Smokies. 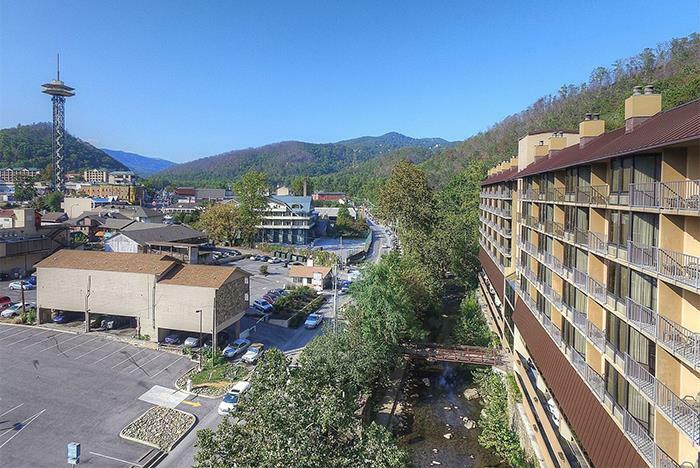 0.9 miles from the Great Smoky Mountains National Park. 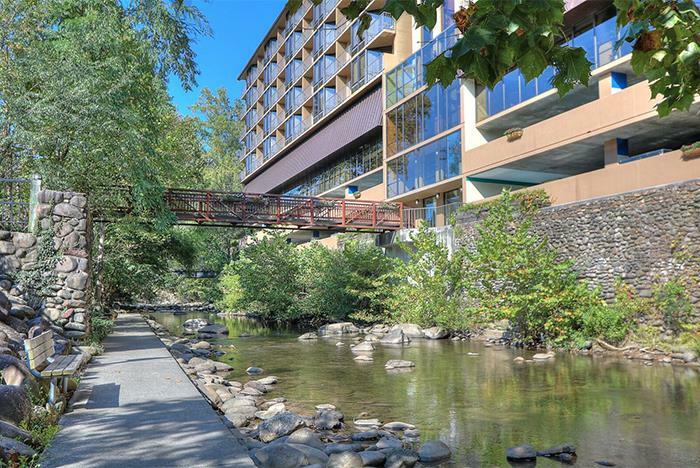 6 minutes' walk from the Space Needle's observation deck. 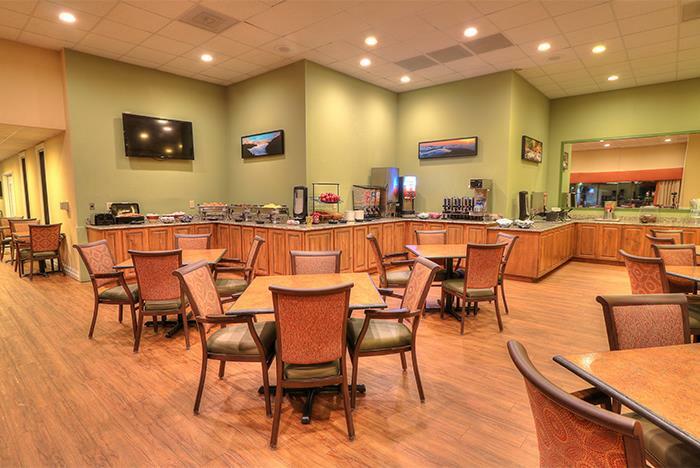 Microwave, mini-fridge, and flat screen TVs in-room. 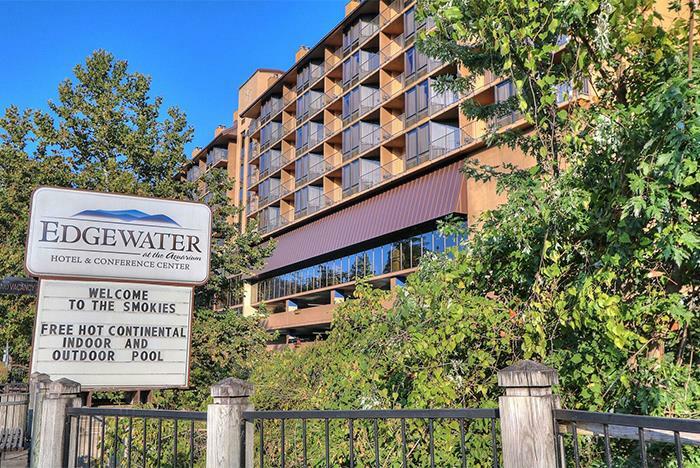 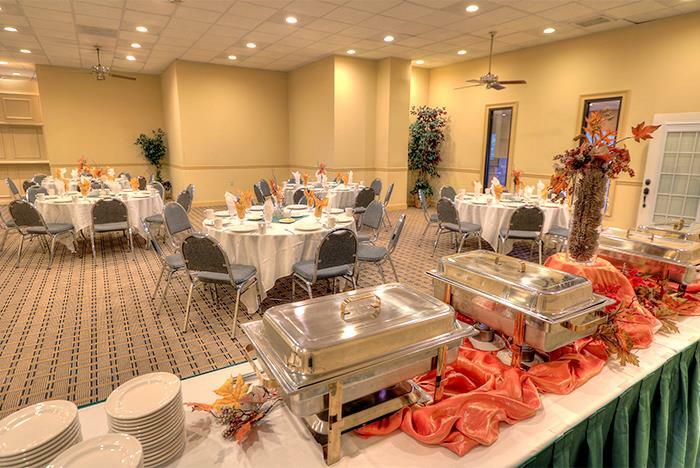 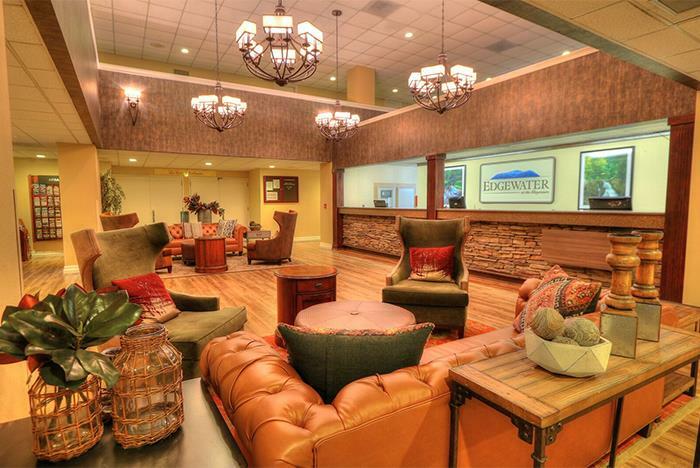 The Edgewater Hotel & Conference Center is a family friendly hotel with something to offer most every visitor, whether you're vacationing with your family, hiking the Great Smoky Mountains, honeymooning or attending a convention at the Gatlinburg Convention Center. 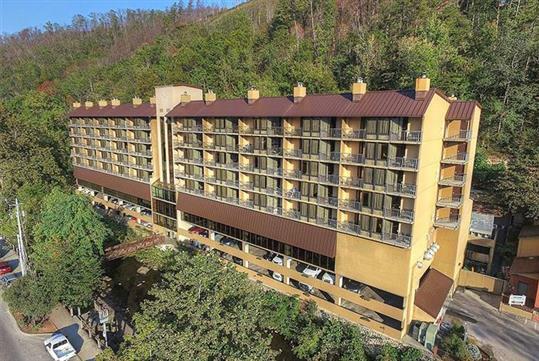 The Edgewater is perched on the banks of the Little Pigeon River, just a 5-minute walk to Ripley’s Aquarium of the Smokies, and steps away from many other area attractions. 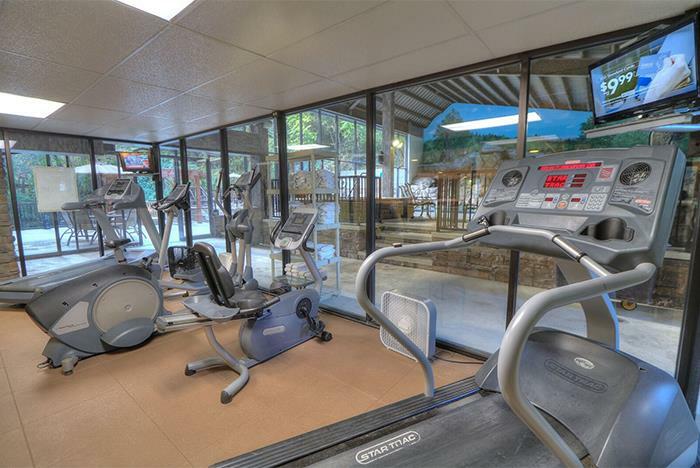 Our hotel features a free continental breakfast, heated indoor/outdoor pool with slide and two hot tubs, and an exercise room. 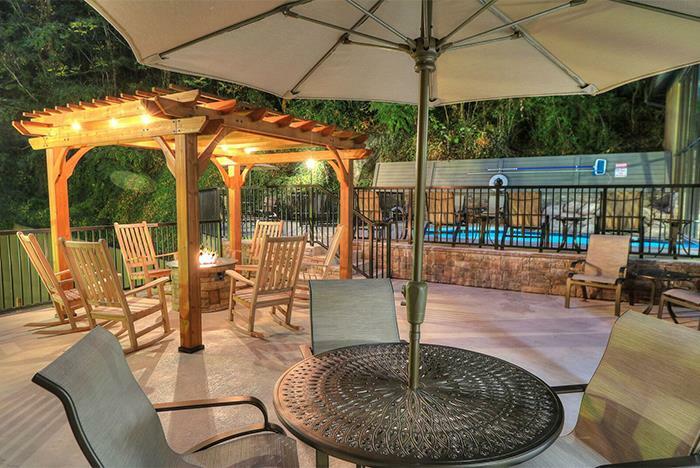 Guests can trout fish in the front yard. 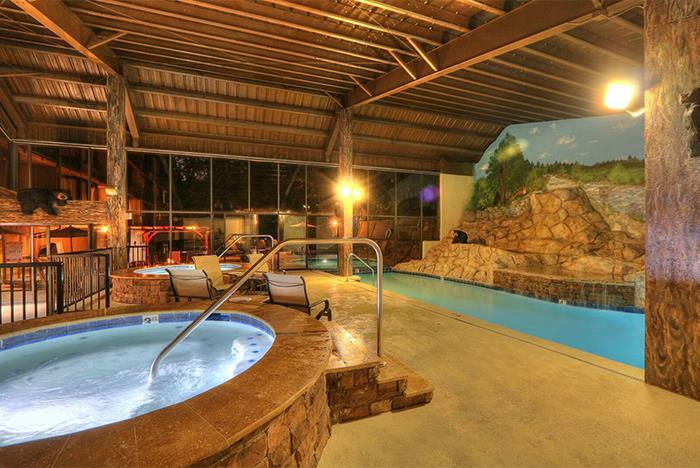 (TN fishing license required.) 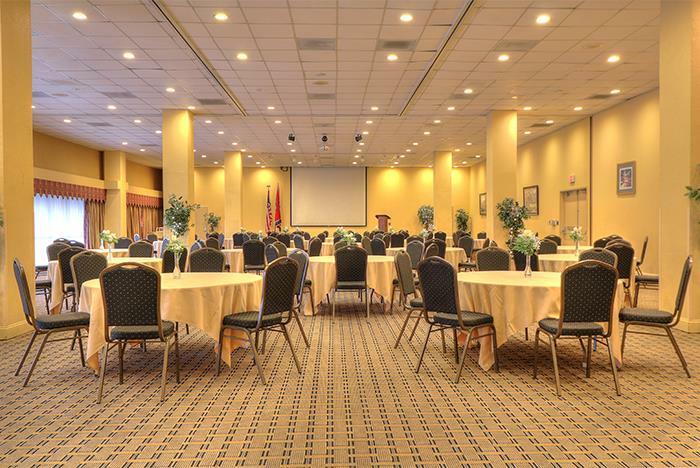 There's also 7,000 square feet of meeting space, including a ballroom. 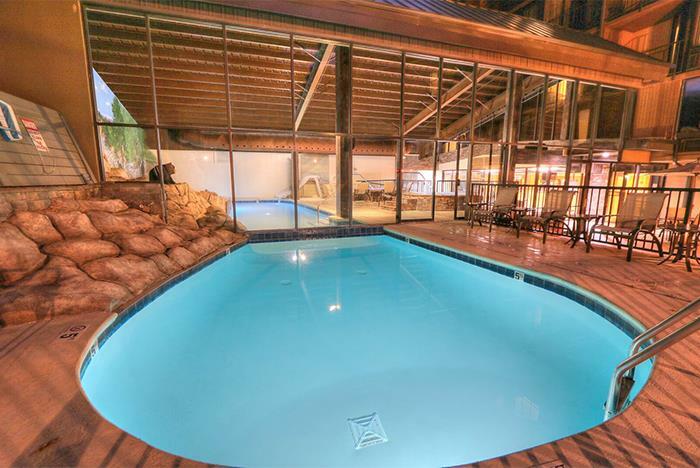 Parking is free in the covered garage.